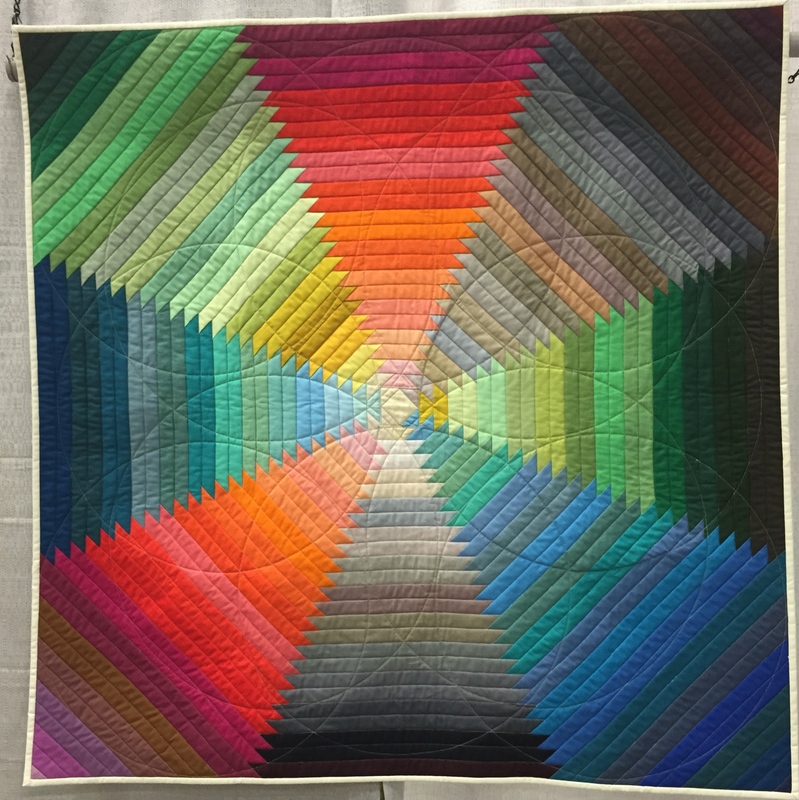 Welcome to the ongoing slow-mo tour of the QuiltCon 2015 Show. Today is the final installment of the Modern Traditionalism category. 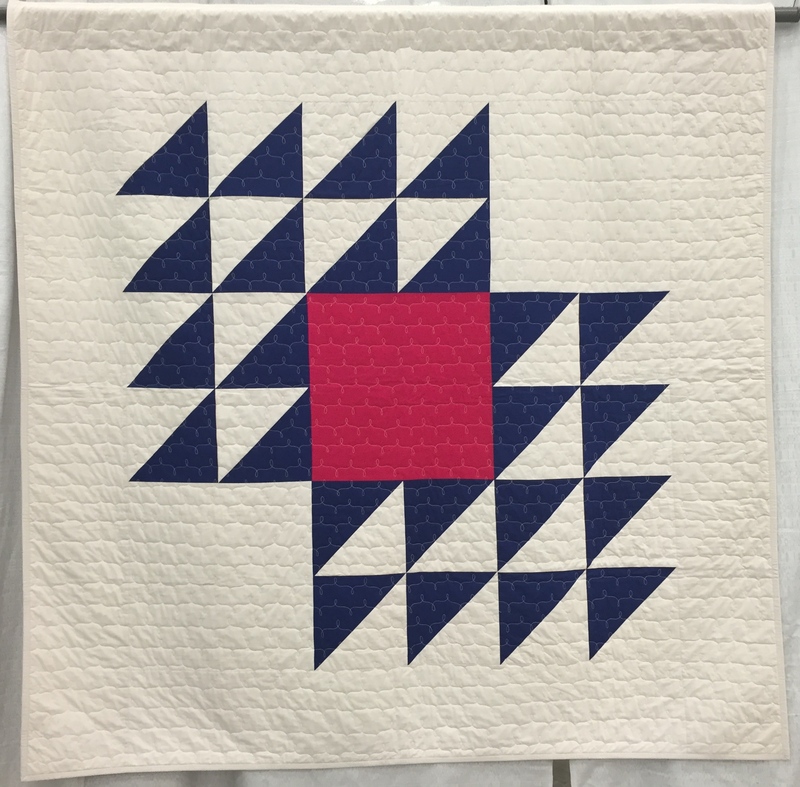 Stay tuned for a LITTLE bit of information about the SMALL quilt category. I promise, it will be TINY. 17 Mar	This entry was published on March 17, 2015 at 5:04 PM. 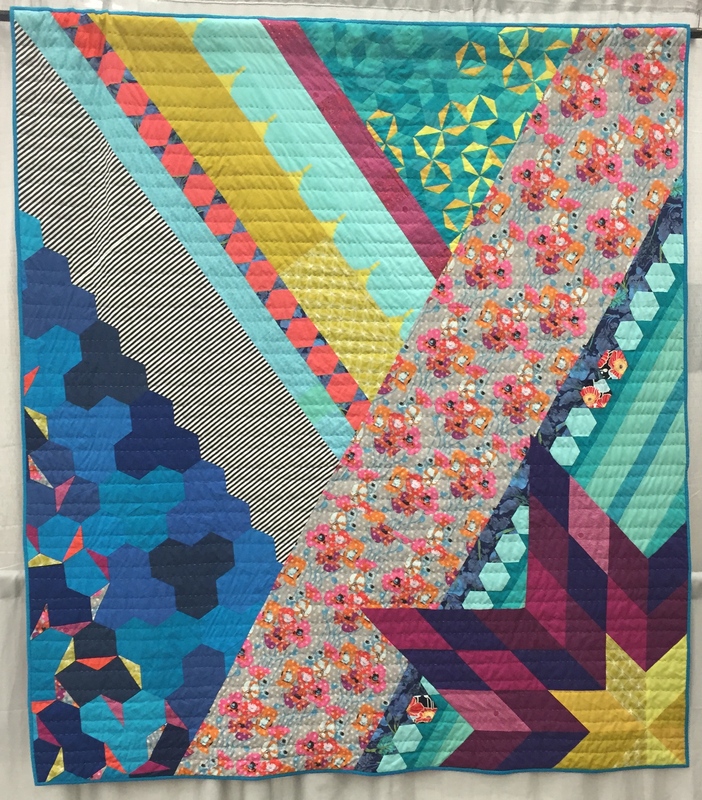 It’s filed under News And Events and tagged Austin, Modern Quilt Guild, Modern Traditionalism, QuiltCon2015, Texas. Bookmark the permalink. Follow any comments here with the RSS feed for this post. These are all very attractive quilts, and beautifully made. Why do I get the feeling that they’re all kinda the same?? Kathy, your comment, like Sue’s, has me thinking I need to write a few editorials about the show. I need to channel my inner Crabby Kathy and see what happens. Essentially this is a quilting movement where things are in some ways predictable. Like with any “movement” the idea is that you all get behind the same idea and do THAT. Just like at Houston, you gotta wade through a lot of off the rack patterns and fabric lines to get to the real and original beauties. Thank you Kathy for commenting. It is always good to hear your voice. I’d very much like to hear from some editorial comments on this, crabby or not. Melanie- Thank you for the gentle nudge. I’m working on it. The idea of “crabby” is a bit of joke. When Kathy is critical of somthing on her blog, she frequently refers to herself as Crabby Kathy. I need to think of my own moniker. I love refresh and long island modern sampler! Thank you Gina for stopping by a commenting. I LOVE Refresh. It might just be Best of Show in my world. Me, I like the ones that have a very strong graphic image — e.g., Sunrise, sunset and Pineapple Dichotomy. But even those don’t hold my interest very long. I’m grateful that you’re summarizing this exhibit, ’cause I’d never survive an armory full of Modern Quilts only. Sue- You really are getting almost the entire show in bit size pieces. I’m going to write more about this later, but essentially a big show like this can be overwhelming in good and BAD (boring) ways. 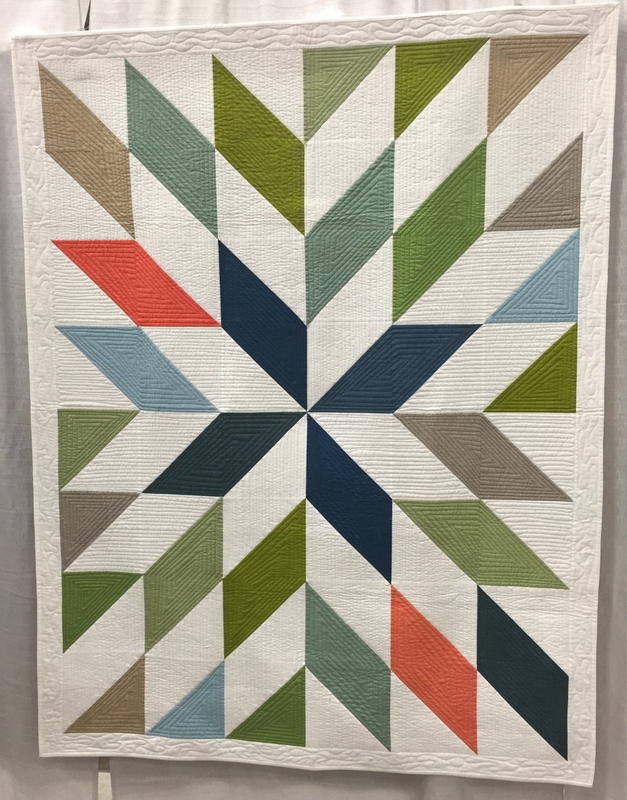 As a not-very-experienced quilter I have a question about the grand pineapple quilt (which I like). 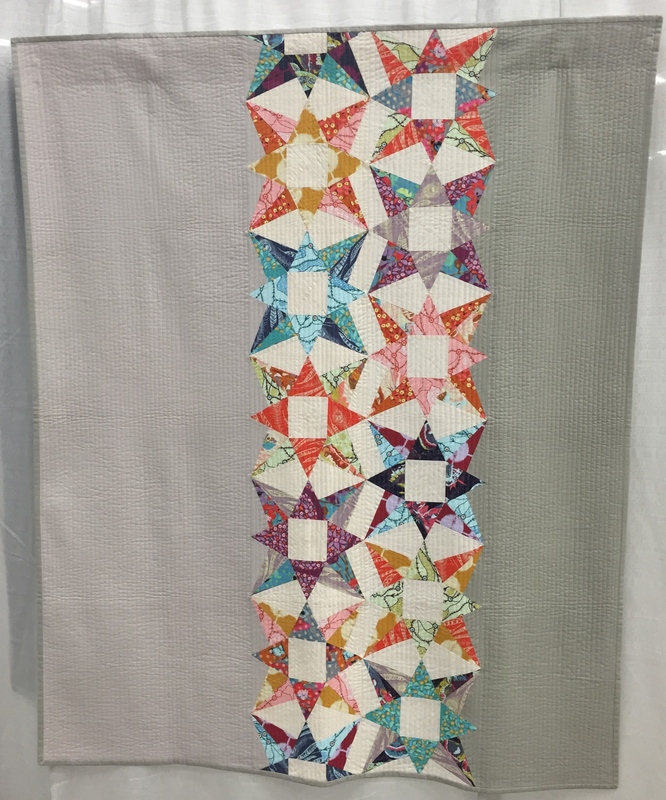 The big circles are quilted, but is it also quilted (in-the-ditch) along the edges of the strips? Or possibly she sews all the way through as she attaches the strips – I looked at her site and a tutorial she has for doing that with strips. So the general question really is just how much is quilted beyond the obvious circles. Jennifer- That is a good question. I do not know the answer. 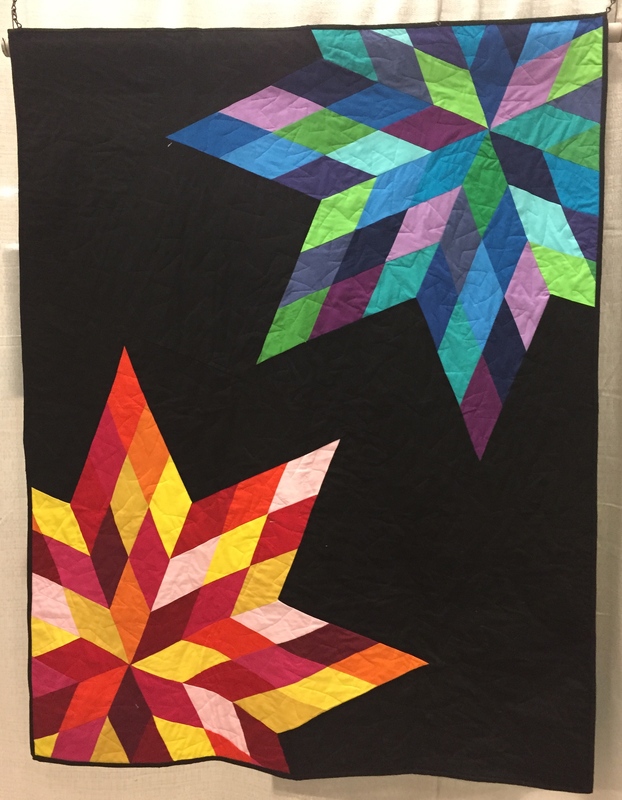 From looking at the photo and from seeing the quilt at the show, it looks like the only quilting is the circles. I think you should ask the maker and then let us know the answer! Thank you for stopping by Jennifer. Thanks for these posts. 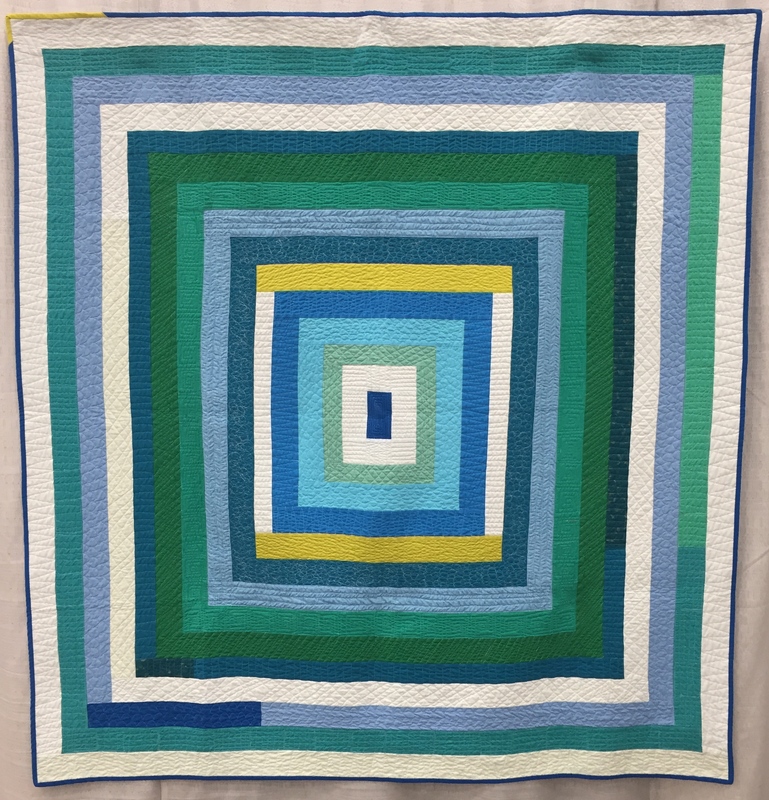 To me, many of the quilts seem very uninspired and very much the same. 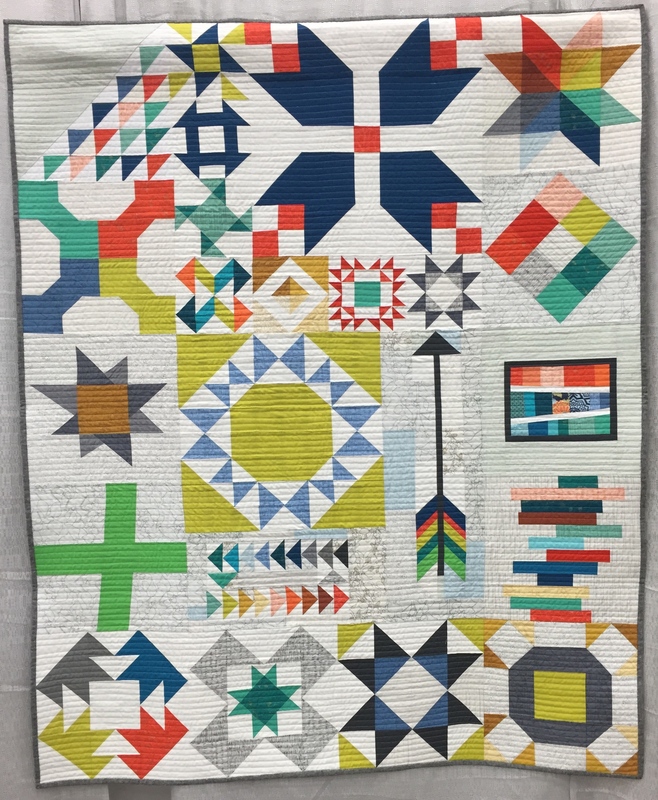 I AM glad to see that even the modern traditional quilts aren’t simply traditional styling with trendy colors and prints. 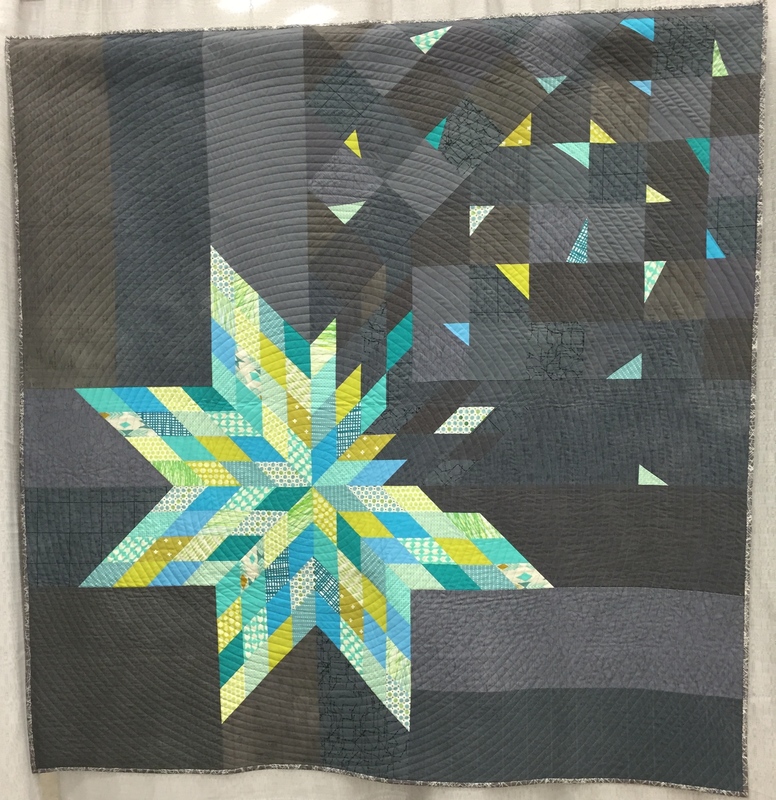 So while each quilt isn’t “new,” the body of work is new relative to most of what we saw even 5 years ago. As mentioned above, yes, I’d love to hear some editorial comments about what you saw. Thank you Melanie. 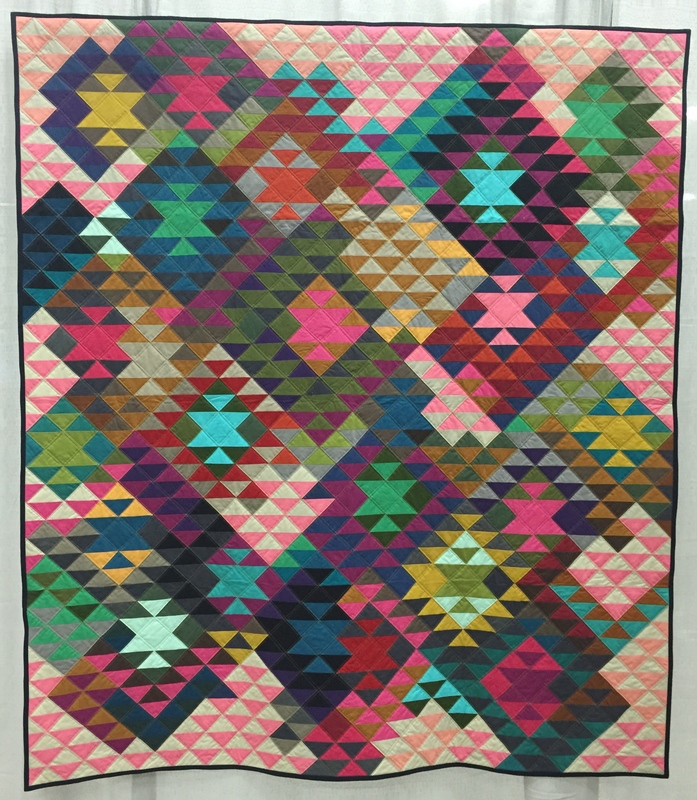 I’m going to keep writing about QuiltCon2015, but I plan to balance it out with my regular posts. 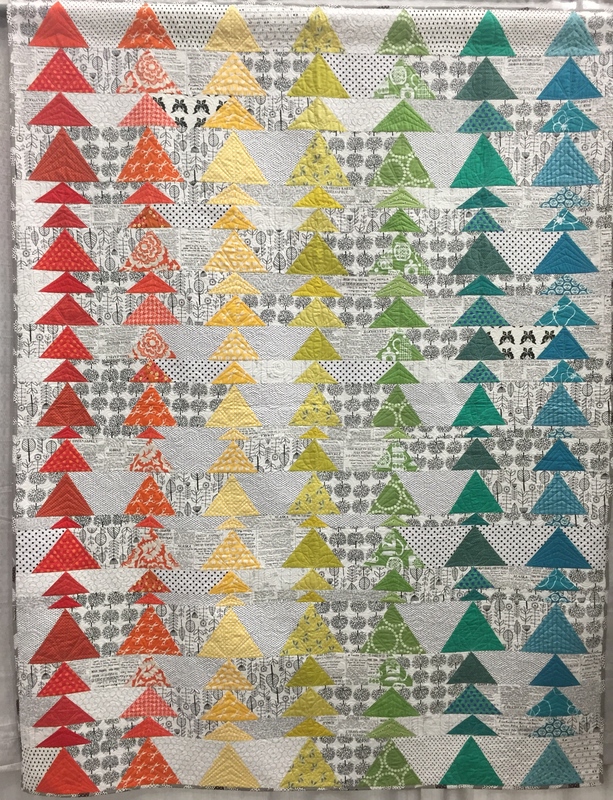 I think any time you but 400 quilts together there is bound to be some repetition, but it is good to see that there are stand outs. You are right–there is some fresh and new mixed in with the old. I think that’s what we are all hoping to see. Thanks for stopping by! for him smile Thus leet me rephrase that: Thankѕ for lunch!